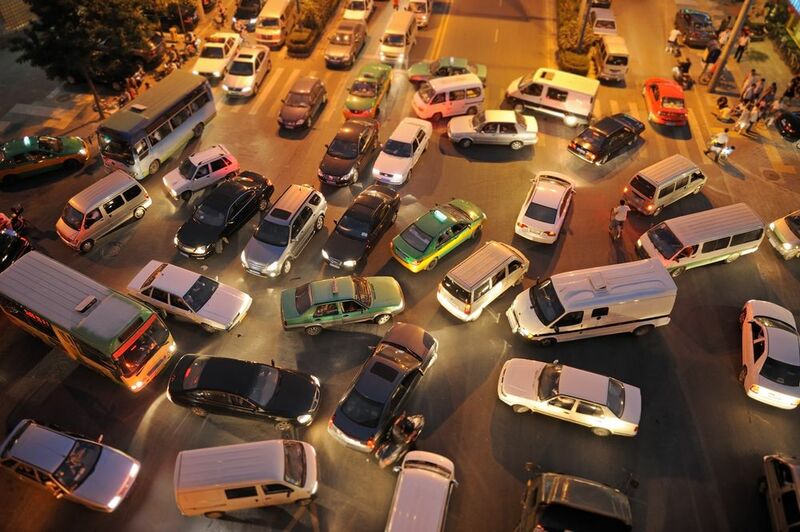 One of the biggest problems marketers face when they get started with Inbound Marketing is website traffic. The competition for traffic has increased dramatically with the rise of internet marketing and it takes time to build a steady flow of website visitors. In this chapter, we’re going to show you 25 ways the best marketers generate leads and traffic. These are the actual tactics that successful businesses across all industries are using to get more prospects on their website right now. Long-tail keywords are specific phrases or niche keywords within your industry. Although they don’t have as high of a search volume, you can actually get more traffic from long-tail keywords because they’re less competitive. Major keywords like “IT” or “Inbound Marketing” take a long time to rank highly for, but you can quickly pop up in search engines for long-tail keywords. Plus, long-tail keywords typically correlate with prospects who are ready to buy right now. Headlines can make or break the success of your content. A great headline compels people to click your links on social media and also makes your content more likely to get discovered on search engines. Media outlets such as BuzzFeed and Upworthy have built their businesses on catchy headlines. However, the caveat is that your content needs to actually be good. If your content is nothing more than click-bait, it will only backfire in the long-run. Every blog post you publish should include links to other relevant posts on your website. This tactic improves your SEO, making your content more likely to get discovered on Google. Linking to relevant content also makes it easier for your visitors to find more content of yours that they might enjoy, pushing them down the sales funnel. Guest blogging is great for SEO, driving traffic, and connecting with people in your niche. Industry blogs have highly-targeted audiences with high levels of engagement are a very effective platforms to expand your reach. Savvy marketers create content for industry blogs and major websites like Forbes, Huffington Post, etc. While major websites might lack the specific targeting of a popular niche blog, they give your brand mass exposure and align your brand with an already trusted name. This increases your credibility and also gives your website a big SEO boost, in turn helping your search rank. Your posting frequency has a big impact on the amount of traffic your website gets. Neil Patel of QuickSprout found that by posting high-quality posts 6x per week (as opposed to 5), blog traffic increased by 18.6%. However, more isn’t always better. Pick a frequency that you can stick to without seeing a decrease in quality of your blog posts or decrease in your metrics. Here at IMPACT, for example, we actually found that blogging 3 times a day (up from 2) did nothing to improve our monthly numbers. With two articles a day, we saw our overall blog traffic increasing month after month, but when we switched to 3, it plateaued, so we scaled back down. LinkedIn has always been the go-to B2B social media network, but originally it wasn’t a great source of traffic for marketers. That has long changed. One of the reasons LinkedIn has become a great traffic source is LinkedIn Pulse – LinkedIn’s long-form publishing platform. Not only will publishing content on LinkedIn build your credibility and image as an expert, it can be used to drive traffic back to your website. YouTube drives the most engaged traffic out of all social media networks, with an average of 2.99 pages per visit, so needless to say, every brand needs to be taking advantage of it. YouTube videos also dominate organic search (especially since it’s owned by Google) and improve your SEO. Q&A websites like Yahoo! Answers and Quora are great sources of targeted traffic. When your buyer persona asks Google a specific question, they’re more likely to end up on a website like Yahoo! Answers because of how strong their SEO is. While you can (and should) compete with them by creating an FAQ page on your website and creating blog posts to answer questions, it helps to go meet your personas half way by establishing your presence on these websites as well. The rules of SEO are constantly evolving, but one of the big things Google is adamant about is engagement and blog comments are a strong indicator of engagement. By responding to comments on your blog you build relationships with your readers and encourage more people to comment. Comments build community and that community can bring a great deal of traffic. Whenever you mention an influencer in your content, let them know by tagging them in a tweet promoting the post. This catches that influencer’s attention and can help start a relationship. If they like the content they will (hopefully) share it with their audience, giving you an immediate spike in traffic. Although there are many ways to get free traffic, it doesn’t mean you shouldn’t be paying for traffic, as well. In fact, when your website is converting well, paid traffic pays for itself. Google Adwords (or other paid search) is arguably the quickest way to get purchase-ready prospects on your website today. Currently, Facebook has the most cost-effective advertising platform in the world. Part of the reason is that Facebook is the largest social media network and, unlike most social media networks, people from all demographics are active on Facebook. Every business, yes even B2B brands, should at least test Facebook ads before ignoring them altogether. Extremely valuable, long-form, comprehensive blog posts generate more lifetime traffic than regular blog posts because they stand the test of time. They also rank higher in Google. The best long-term traffic strategy is creating content people can’t ignore. It’s so easy to get caught up in bringing new people to your website that you forget about your current subscribers. While you don’t want to annoy your blog subscribers by emailing them daily, you do want to keep them up-to-date – after all, your blog subscribers are more likely to purchase from you than people on social media. Niche-specific Facebook Groups can be powerful traffic sources and are extremely easy to set up, but they also require a lot of time to manage. The other downside is that you’re building a community that you technically don’t own or control -- Facebook does. Like starting a Facebook Group, creating a forum is similar requires a lot of time. Unlike social media communities, however, a forum can live on your website. In this scenario, not only do you own the forum, but your website also reaps the SEO benefits of all the long-tail keywords used throughout the platform. Just think about how often a Google search takes you to a forum. Wouldn’t it be nice if your brand owned one of those forums? Getting to the first page of reddit can turn one little blog post into a viral monster overnight. However, you don’t have to make it to the coveted first page to get traffic from reddit. The key is being an active contributor in various subreddit communities and making a point to not spam them. Redditors are very perceptive to marketing tactics and won’t give you much traction unless you’re there to provide value. I know this sounds cliché, but building relationships with other people in your niche will often result in organic inbound links and referral traffic to your site. Yet despite the fact that nearly ALL of the top marketers do this, the majority of marketers don’t. Guest-blogging is a two-way street. Generally speaking, you will get more traffic by guest blogging on other websites, but you can also generate traffic by getting influencers to submit a guest post on your site because they will likely share it with their audience. If you’d like to leverage your relationships with influencers to increase traffic and don’t want to pitch them to do a guest post, offer to interview them instead. It much easier for them to say “yes” and you essentially get the same benefits as you would from them publishing a guest post. Webinars are great for increasing traffic, and especially powerful for lead generation. The major advantage of a webinar is the video format, which is most engaging. Plus, you can always record the webinar and repurpose it into future content or turn it into a lead magnet. In general, you should already have a small audience established before doing a webinar so you aren’t talking to crickets. Be sure to announce your webinar to your email list in advance and give them a reminder on the day of the webinar. Social media drives a lot of traffic and social sharing is the modern word-of-mouth marketing that brands crave. Social sharing buttons make it as easy as possible for your readers to share your content with their followers on the social media network of their choice. Social buttons are built into most new website themes, but there are also plenty of free (and paid) plugins that you can install and configure quickly. Having a responsive website is a requirement now. It won’t give you a boost in traffic, but a non-responsive site will limit the amount of traffic your website receives. Not only are most web visitors on mobile and less likely to spend time on a non-responsive site, but Google also ranks non-responsive websites lower in their search rankings. Read this blog post from Google to learn more. Slow websites send visitors away in a hurry. Loyal blog subscribers will put up with your website’s slow load times, but new visitors typically don’t. You have to remember that all website visitors don’t have access to the fastest internet. A couple of seconds in loading time for you could be 30 seconds for your prospect. Search engines also take site speed into consideration as one of their ranking factors, but a slow site won’t significantly hurt your rankings. The content above was an excerpt of our new guide, "The Inbound Customer Value Optimization System (Using HubSpot)." To learn about creating your lead magnet and the rest of the Customer Value Optimization System, get your free copy of the full guide by filling out the form below.